Sterling Silver Antiqued Claddaugh Cross. Weight: 5.4 grams. 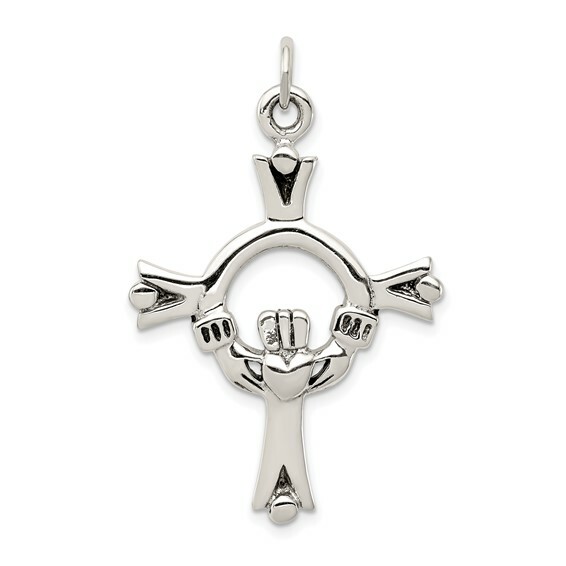 Claddagh cross pendant dimensions: 1 5/8in x 1in with bail. This item is larger than a quarter. She smiled and said " I love it "